We invite you to let us know how we can best meet your needs. In addition to the various modalities and types of massage that we offer which are described in detail below, there are various ways to receive our massage therapy services. Do you envision receiving your therapeutic massage in the comfort of your home? Perhaps you have that perfect room with a fireplace or a private deck where you have dreamed of having a professional massage. Or would you prefer to come to our cozy and professional office conveniently located in the Historic Montford neighborhood in downtown Asheville? Maybe you are thinking about inviting us to come offer our services as part of a special event, or even to come to your place of work? We can do all this and more! ON SITE SERVICES: One, two, or with advanced notice, more massage therapists on call, with portable massage tables, relaxing music, and oils. We also offer chair massage! Experience an integrative, therapeutic, and individualized massage that will thoroughly address the specific needs of your body, mind, and spirit. Sessions offer an intuitive blend of Swedish, Deep Tissue, Vedic Thai Massage, Acupressure, Energy Bodywork, Reiki, and Aromatherapy. The definition of deep tissue massage is specific massage manipulation of the deeper tissue structures of the muscle and fascia, also called connective tissue. Deep tissue manipulation therapy uses many of the same movements and techniques as Swedish massage, but the pressure is more intense. It is also a more focused type of massage, as the deep tissue massage therapist works to release chronic muscle tension or knots (also known as "adhesions.") Although it is more uncomfortable then Swedish massage, it shouldn’t hurt. The communication between a client and a deep tissue massage therapist is important. As a client, you should report any feeling of pain, referred pain, numbness or tingling. You should also report when the pressure is too much for you. Different people and even different parts of the body of the same person have different pain tolerance. Your body is your best guide. It shouldn’t be painful! In fact, when you feel the pain, the muscle contracts even more. There is however, what most people refer to as a “good pain”. We found that most of our clients love deep pressure. In fact, most of our massage sessions fall under the definition of Deep Tissue massage. There can be some times stiffness or soreness after a deep tissue manipulation, but it should subside within a day or two. If you experience pain in the muscles, apply ice to the area after the deep tissue manipulation. Customarily, a Thai-Yoga session lasts about 2 hours, during which there is a surrendering release which allows deeper and deeper physical and mental ‘openings’. Flowing rhythmic compressions using the feet, knees, palms, elbows, forearms and fingers are blended with exotic stretching positions known as asanas and disciplined breath control known as pranayama, effectively producing a balanced and harmonious symbiotic communication integrating the body’s vital systems, including mechanical- musculoskeletal, electrical-neural, chemical-glandular. 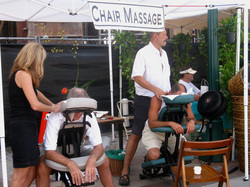 Chair massage is performed in all kinds of environments. Most people know about the service as a corporate massage service, although probably only half of all of them are done in the workplace. Retail chair massage, either done in massage stores or as stand alone massage booths or massage kiosks is becoming increasingly common. Also known by some as "Pregnancy Massage", this type of massage is specifically designed to relieve aches and pains during pregnancy. This type of massage should usually be avoided during the first trimester of pregnancy. During pregnancy the women’s body goes under considerable stress. Due to the added weight the stress is greater on the joints, lower and upper back, neck and shoulders. Prenatal Massage / Pregnancy Massage may aid in decreasing aches and pains, lessening join pains and reduce swelling. Some studies claim that prenatal massage may also improve labor outcomes and improve newborn health – but more proven benefits are the benefits to mussels and joints. During a prenatal massage, pillows are used during the session to make the client more comfortable on the massage table. Sometimes, special massage chairs may also be used for this type of a massage. The position for this type of the massage is usually laying on your side. Children require tactile stimulation through a variety of sources in order to fully develop their body, mind and spirit. Those children who receive massage therapy may experience many benefits including decreased anxiety, improved muscle tone, enhanced pulmonary and immune function, enhanced body image, increased bonding and attachment, healthy sense of boundaries, stress reduction and an overall sense of well being. Massage therapy is beneficial for children who are healthy and well, who have special health care needs, or who are hospitalized or have been diagnosed with a terminal illness in hospice care. I also provide massage therapy, nurturing touch techniques, touch therapy, tactile introduction, sensory stimulation & integration for children who have been diagnosed on the Autism Spectrum Disorder. I have been trained through the Liddle Kidz Foundation in pediatric massage techniques for working with children with varied physical, developmental, and mental challenges, and specifically with children on the Autism Spectrum. I fully consider each unique child before, during and after every massage session. When working with children it is extremely important to understand methods of respectful approach. We must remember to meet each child at their level and respect their personal space. I welcome you to talk with me about your child's individual needs, and how pediatric massage therapy may benefit them. Usui Reiki (Ray-Key) is a Healing Tradition from Japan that works with the Energy Realm. The practitioner channels the Energy from the Source to the recipient's Energy Body. It is with the understanding that with a fully energized Energy Body the Physical Body is able to operate at its full potential. Reiki offers a subtle yet powerful method for stress reduction and deep relaxation that also promotes healing. It is based on the idea that an unseen “life force energy” flows through us and is what allows us to be alive. If our life force energy is low then we are more likely to feel stress or get sick. If it is high we are likely more capable of being happy and healthy. Reiki has had positive effects on virtually all types of illness and injury as well as balancing mind, body, and spirit. It can do no harm, only good. Reiki provides a natural, gentle method of stress reduction that complements and supports all forms of medical or other health care treatment plans. A treatment feels like a wonderful glowing radiance that flows through and around you. Reiki treats the whole person including body, emotions, mind and spirit. It creates many beneficial effects that include relaxation and feelings of peace, security and wellbeing. Shamanic Reiki is based in Usui Reiki combined with Shamanic Teachings. 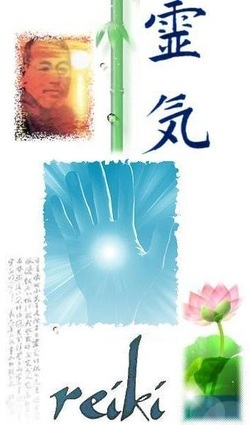 InTraditional Usui Reiki the recipient is to passively receive the Reiki energy. The recipient is to simply relax as the Practitioner channels the Energy. There is little if any communication between the Practitioner and the recipient during the session. Shamanic Teachings tells us that we need to be active, not passive, in our Healing. Shamanic Reiki the recipient is required to let the practitioner know what they are feeling, seeing and sensing during the session. The recipient is to assist the practitioner in directing the energy to where it is needed. Shamanic Teachings also tell us that we are not alone on our Healing Path and we have guides and teachers that can assist us in our Healing. Aromatherapy is the safe and controlled use of therapeutic grade essential oils to maintain and promote physical, psychological, and spiritual well-being. Aromatic plants have been enhancing the lives of humankind since the dawn of history and are a critical component of all ancient healing traditions. Aromatherapy promotes health, vitality, a sense of harmony with the natural world, offers a safe and effective alternative for dealing with many routine, day-to-day challenges to good health and well-being, and works well in conjunction with other appropriate interventions. Our practitioners wish to consider your whole being, body, mind, and spirit, when making recommendations for your optimal health. During your consultation, your practitioner will review with you your health history, your present concerns, and your goals for whole health. You will have an opportunity to share your intention in considering aromatherapy as part of your healing journey and ask any questions you may have. During the session and within the following week, your practitioner may make recommendations of essential oils and other holistic options specific to you and your intention. The botanical, traditional, and energetic aspect of each essential oil is considered in order to apply its unique resonance and healing force to your individual needs. Simply put, it is a case of matching your unique qualities and needs with the vital properties of particular oils in order to restore balance and promote well being. You may receive a recommendation for a custom aromatherapy blend (or blends) and options to purchase for an extra charge. Directions for optimal and safe use included. Custom blends will most likely be formulated after your consult to be picked up or mailed. Also included is a follow up email or phone call regarding your progress. This consultation does not take the place of medical evaluation and it is solely your decision whether or not to follow through with any aromatherapy interventions suggested. Aromatherapy is not medical treatment and does not address or “cure” medical diseases and illnesses; rather, it offers another route for relieving common complaints and improving quality of life. What is an essential oil and how do they affect us? Essential oils are volatile, fragrant, liquid substances that are naturally occurring in a variety of aromatic plants growing around the world. They are powerful, all natural healing agents that contain the highly concentrated vital energy, or “Qi” of the plants. They are unique in that they invoke our sense of smell and transform our state of well-being. Each essential oil is extracted from a single botanical source through distillation or cold-pressing. The essential oils, which are produced by the plants mainly for communication and protection, are stored in secretory structures in different parts of hundreds of plants--the leaves, roots, flowers, seeds, twigs, wood, etc. These constituents perform multiple functions in plants and insects and also in mammals. Our bodies are biologically programmed to react to essential oil constituents, which interact with a variety of receptor sites, neurochemicals and enzymes, giving essential oils a potential for therapeutic activity. They can positively affect us physically, mentally, and spiritually. Are there any safety concerns with Aromatherapy? Essential oils should never be taken internally unless prescribed by a medical doctor or another qualified practitioner who is trained to a medical standard (like a Doctor of Oriental Medicine, etc). The main risks associated with external use of eo’s (in the amounts and by methods suggested by the practitioner) are allergic reaction, skin irritation, and in some cases increased risk of sunburn. Some essential oils have contraindications and should not be used with certain medical conditions like pregnancy or with specific medications. Special considerations are also taken for children and the elderly. A thorough and honest intake form is necessary so that all of these considerations can be met. Clients will be educated on the safe use of essential oils. 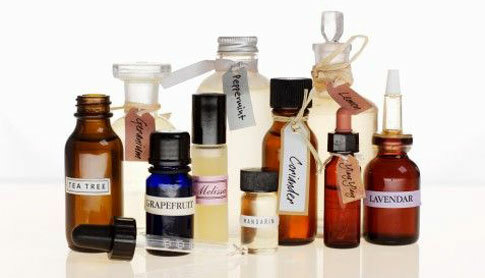 What are the different methods of application of essential oils? The following methods are the safest and most commonly used ways for applying essential oils both for therapeutic benefit and pleasure. They involve the topical absorption of diluted essential oils through massage, ointments, compresses, and baths, as well as inhalation using various types of diffusers or spritzers. Subtle aromatherapy works with the vibrations the essential oils carry from their parent plants that convey something of the life energy of the plant. All of these methods can have a positive effect both physically and psychologically.